Water Garden has a diverse range of outdoor garden fire features, from fire pits to wood burning, hanging fireplaces. We also offer garden gas fires. Water Garden has an extensive range of superb quality outdoor Fire Places, Wood Burning Barbecues, Chimineas, Fire bowls and Fire pits in a wide range of styles to fit your garden design and personal tastes. Our Outdoor Fire features are the perfect addition to any space to provide warmth and a comfortable, cosy atmosphere. The highly versatile Corten Steel FORNO BBQ Fire Burner matches aesthetic appeal with culinary practicality, featuring a steel grill plate and grill support in addition to an outer 1 metre diameter roasting plate for keeping food warm/hot (depending on the proximity to the centre of the grill) or direct use for Teppanyaki or Plancha cooking. 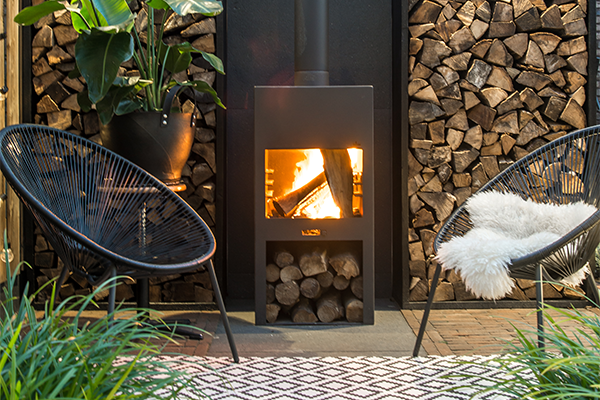 The heat is controllable via the air intake and the FORNO can also be used as a wood or solid fuel burner for extended warmth into the evening time. Many of our Barbeques can also be used as fire pits but for those purely looking to keep warm whilst enjoying the beautiful effects of a natural flame, our Fire Pits and Fire Bowls are the perfect choice. Designed for logs or coal, these burners produce a wonderful light show and heating effect which is ideal for gathering around whilst chatting over a roasted marshmallow or two. 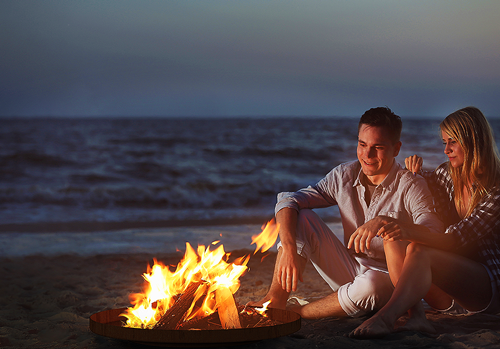 If you are searching for an outdoor fire with complete control of the flame, our gas fire pits are the most suitable option. Gas fires also produce zero waste in the form of ash so are virtually maintenance free.